The Global Bonus Pool pays 4% of the company’s Business Volume (BV) to each qualified EBO within the Pool they are in. There are five separate pools that are shared equally between each EBO as there are promoted through the ranks of the company. The Pools are the GB1, GB2, GB3, GB4, and GB5. 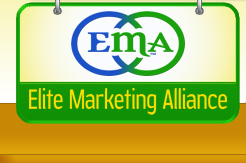 © Copyright 2010 Elite Marketing Alliance, Inc. All Rights Reserved.